In the nineteenth century, the Pliny is on its way from South America to New York City. Aboard the ship are many families, including two young friends Anthony and Pedro, who spend the journey pretending to be pirates. The boys are having a grand time together until one night when a storm hits. Even the lifeboats are of no use, as they are smashed by the growing waves. The night goes silent when the engines stop working, leaving them at the mercy of the storm. Then the captain sends up a distress beacon. Soon there are people on the shore and a cannon is aimed in their direction. Could it be pirates after all? Instead of a cannonball, a rescue line and buoy are shot onto the ship. It takes a harrowing zip line to safety until all of the crew and passengers are safe and warm at the Long Branch Life Saving Station, a precursor to the Coast Guard. Carbone writes with a lot of detail here, exploring this story based on the real disaster of this ship. Told through the point of view of Anthony, the story stays riveting and thrilling right through to the end. From the drama of the storm itself to the striking rescue efforts, this book is filled with tension and adventure. Carbone also carefully builds the world of the 19th century, making sure that readers know where they are in history and how brave the efforts of the rescuers are. Carpenter completes the historical tone of the book with her own detailed images of the 19th century. From the clothing to the mannerisms, this book clearly reveals the time and place of its setting. Carpenter does not shy away from the drama, instead leaning into it with her wild expanses of stormy water, the drama of almost slipping off the deck, and the wonder of the rescue. A powerful mix of history and adventure, this fictional book will be popular with pirate and nonfiction readers. Appropriate for ages 5-7. This is the true story of an orphaned polar bear cub who has to survive the wait for the ice to return without the help of her mother, who would normally have cared for her for another year or two. This cub lives on Wrangel Island, far north of Russia in the Arctic Ocean. She lives there with many other polar bears, but she is alone. She has to find dead things on the shore to eat, defend her finds from scavengers, negotiate other food from hunting bears, and manage to survive. Many other cubs die from starvation, but this little cub survives. She manages to live until the ice floes return. Even then, she is one of the last to leave the island, unsure of how to live on the ice away from land. Eventually, she spends more and more time on the ice, and then she is carried off into the ocean where she must learn to survive in a new way. Markle captures the harrowing and desperate life of an orphaned cub in a very straight-forward way. The reader knows of the danger that this cub is in and how difficult her life will be. This white-furred heroine also captures the mind of readers, demonstrating time and again how brave and resourceful she is. Markle takes care not to humanize the life of the bears, instead they are respected as animals with their own lives. Few human emotions are spoken about, instead the drama comes directly from the situation and survival. Marks’ illustrations recreate the cold of the Arctic on the page. Done in whites, blues and browns, they are chilling, warmed only by the young bear at the center. Marks draws the movement and feel of polar bears with a confidence and care. These are solid illustrations that do much to support the book as a whole. A stirring tale of survival set in the Arctic Circle, this book will be enjoyed by young nonfiction readers. It is also a nonfiction book that would work well in a story time setting thanks to its inherent drama. Appropriate for ages 6-8. 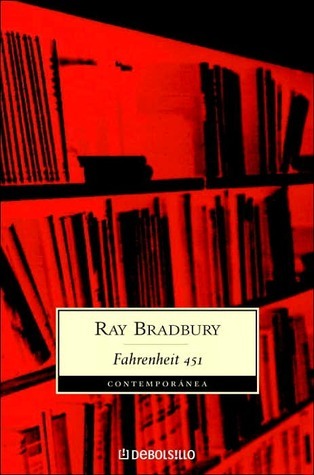 Ray Bradbury has died at age 91 in Los Angeles. 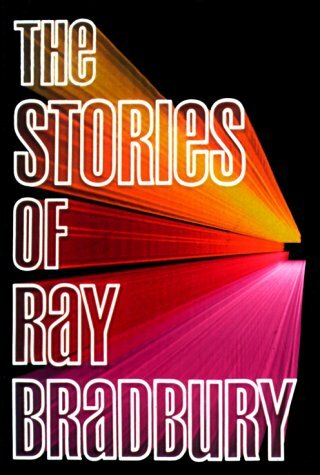 I have vivid memories of discovering and devouring Bradbury short stories over the summer as a young teen. 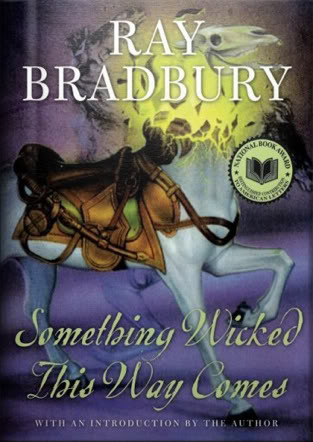 I read every book I could get my hands on by Bradbury, starting first with Fahrenheit 451 and Something Wicked This Way Comes, and then moving into his short stories, which I enjoyed far more than his novels. Each story was a world in itself, a place to visit briefly, to immerse oneself in and be transported. They were stories that were meant to dazzle, amaze and shock. I can’t think of a better way to spend a hot summer day than some shade, a cool drink and a new Bradbury short story.